maybe they mean yesterday, because before yesterdays updates and some mistakes by the unpacking engine for Inno Setup this months which have been fixed quite fast, it was a top security product. 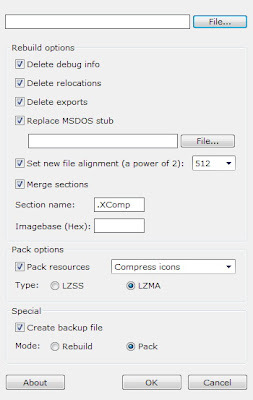 XComp is in some cases better with compression ratio as upx. about NsPack By Nort Star (Commercial), I thing is nothing to say. Just look the result in a hexeditor and see the chaos in the headers, no option to clean/optimize this mess up. It is the most ridiculous Security System I ever seen. Where is the Virus in this sample??? BitDefenders unpacking engine mistakes. Scanning a Inno Setup file - Instyler Module 9 ! G DATA InternetSecurity 2008 v12 3er - and all Problems are gone?! All-round protection against all dangers from the internet! Armadillo BitTorrent Mods infection with G Data - Dual engine scan !!! 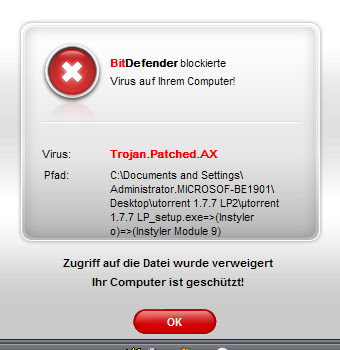 "I've seen that with BitDefender already that this Armadillo BitTorrent Mods tries from alone to phone out even if they are not started, free run if a access rule have been created in firewall"
copy virus database from Bit defender ? Jedoch packt es nicht so gut.